Previously, we took extended looks at key players in the coming saga like Star-Lord, Thanos, and Drax. We also saw the beginning of a massive invasion from the Negative Zone, led by the villainous Annihilus, which decimated the Kyln and the entire Nova Corps. Now it’s time to meet some more of the characters that would play an important role in the coming battle for the fate of the universe. Richard Rider, much like DC’s Green Lantern, was chosen to be a member of the galactic police force, the Nova Corps. 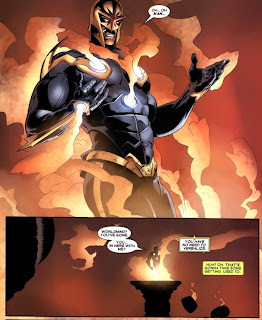 Equal parts Green Lantern and Peter Parker, Nova bounced around as a character for many years, from his own mini-series, to an appearance in Rom: Spaceknight, and as an initial member of the New Warriors team. Silver Surfer, created by Stan Lee and Jack Kirby, is a former herald of Galactus. Having made a deal with Galactus to save his home planet, he agreed to become his herald, and search out suitable planets for him to devour. When his travels led him to Earth, he eventually betrayed his master to save the human race, and has since spent his time exploring the cosmos, and philosophizing. 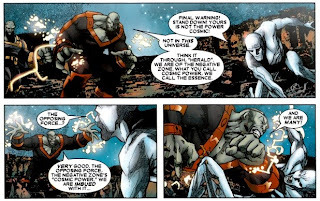 Super Skrull and Ronan the Accuser are former Fantastic Four antagonists, one a Skrull and one a Kree, respectively. Super Skrull was enhanced with all the powers of the Fantastic Four, while Ronan serves as a Kree judge, jury, and executioner. With all that out of the way, let’s sacrifice this goat on the altar of cosmic awesome. Nova lies beaten and broken following the attack by the Annihilation wave, with a mysterious voice talking to him, urging him to get up. The voice is the consensus voice of the Xandarian Worldmind, and it is all that is remaining of Xandarian culture. Worldmind tries to convince a disoriented Nova to take immediate actions to safeguard it. Nova spots a couple of bugs left behind by the invasion feeding on some corpses, and almost gets himself killed before blasting off. 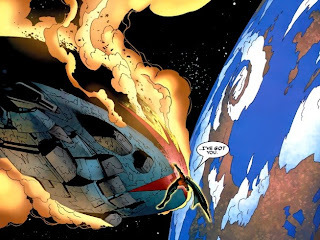 Nova flies to the Hub, where Worldmind convinces him to allow him to download itself and the full power of the entire Nova Corps into his mind and body. 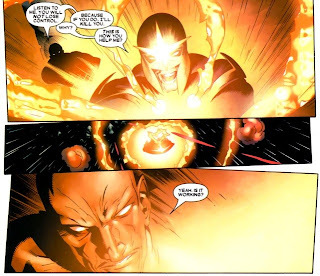 Richard is reluctant to allow this, as a previous individual that tried to contain the full force of the Nova Corps was driven insane, but he Worldmind assures him he will be there to help regulate the power overload. Richard agrees, and a new Nova is born. Driven temporarily insane by the download, Richard singlehandedly attacks an Annihilation wave fleet of ships, catching the attention of Annihilus himself, before passing out from the strain. Waking up again planetside, Nova looks up to see Drax the Destroyer and Cammi. 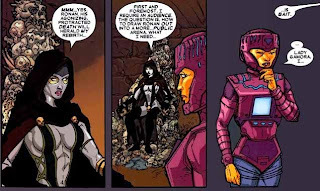 My brain thoughts: One of the strengths of Abnett and Lanning as writers is that they bring a real sense of humor to their stories, which helps balance out the heavier melodrama. The interplay between the cold robotic voice of the Worldmind and the human Richard Rider is fun to read. Establishing the Worldmind as a character all its own was a stroke of genius on their part. As I’ve said before, one of the struggles of previous spacefaring comic books is that solo characters don’t always have another character to play off of. (I was probably spoiled by Star Wars from a very young age in this respect. 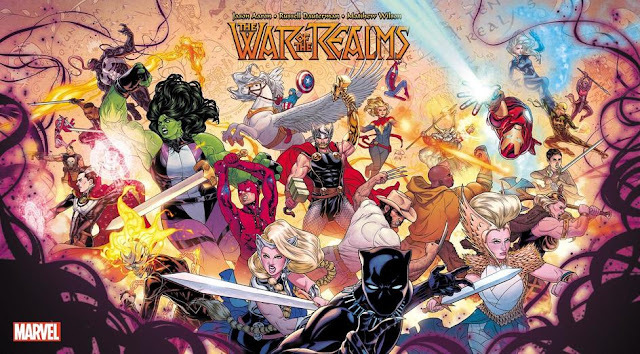 It’s little wonder I’ve found teams of cosmic characters working together to be much more interesting than the solo ones throughout the years. 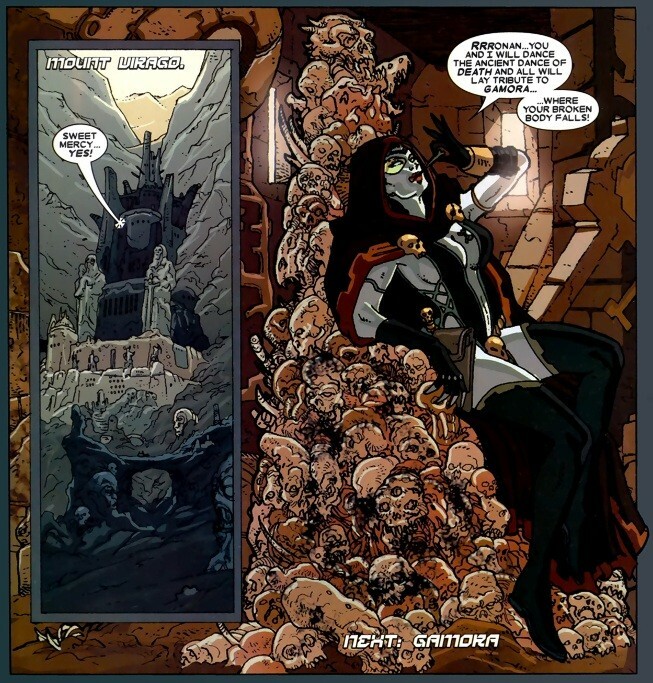 It’s just flat out more interesting to read than the Silver Surfer exploring the galaxy alone, talking to himself. A little bit whiny, that guy.) In this case, the supporting character, the interplay, is right there in Nova’s own head. It makes Nova instantly more entertaining going forward. 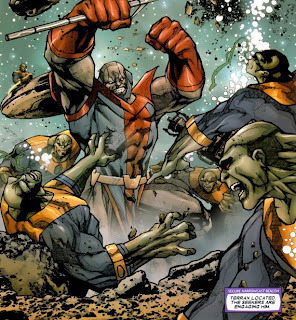 Super Skrull combats the destructive Annihilation Wave as it makes its way through the Skrull empire. He is especially concerned with a planet-destroying weapon called the Harvester of Sorrow. 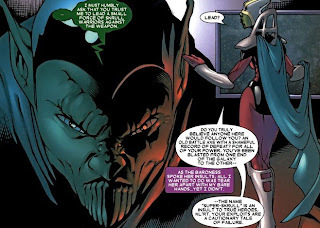 Baroness S’Bak, the ruling Skrull in the area, orders the Super Skrull to stand down, and mocks him for his long-running career of defeat and shame. He defies her, punches her for her insults, and escapes with a child mechanic named R’Kin. 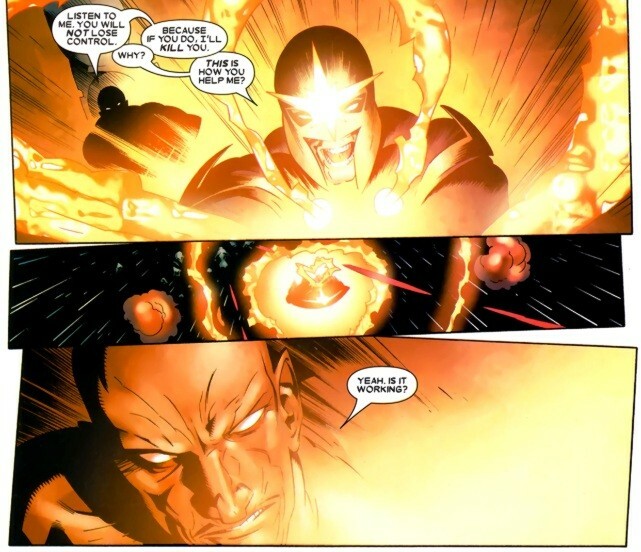 Super Skrull travels to Earth and makes a deal with Mister Fantastic to gain access to his Negative Zone portal, so that he and R’Kin can discover a weakness to the Harvester of Sorrow weapon. 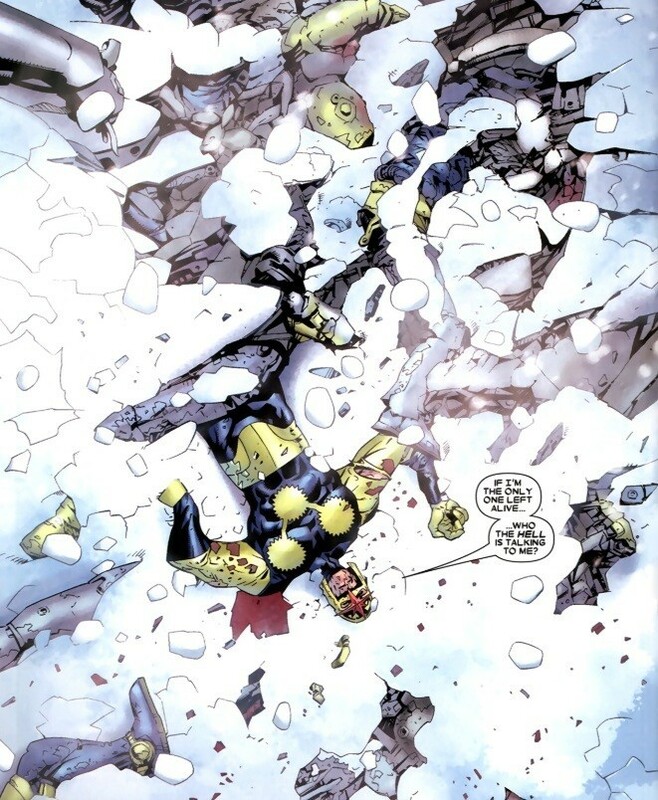 My brain thoughts: I’ll still never forgive the Super Skrull for that Iron Fist fakeout. My brain thoughts: I love Gamora so much. It’s so exciting reading these early stories, and seeing the characters all get introduced one-by-one into this new era. Especially knowing how the best of them will eventually band together as the Guardians. Silver Surfer surveys the charred remains of what was once Xandar, when he comes upon a contingent of Annihilus’ soldiers, led by a brute named Ravenous, attacking Xandar native and former herald to Galactus, Air Walker. 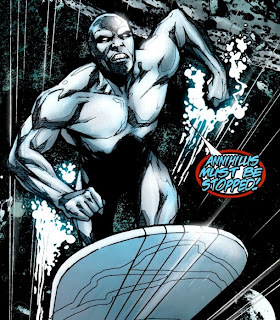 The Silver Surfer releases the full power at his command upon an overconfident Ravenous, enabling him to escape with the gravely wounded Air Walker. As Air Walker dies, he pleads with the Surfer to take action against these forces. 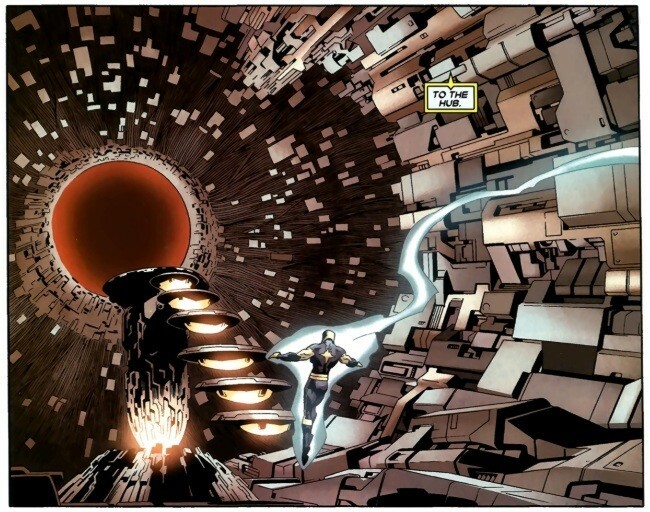 From afar, Thanos and Skreet look on at the singularity (black hole) brought about by the Surfer’s discharge of energy. Thanos commands the Fallen One to bring the Seekers to him, so that he can offer his services to them. The Surfer next witnesses the remains of destroyed Skrull worlds, with Air Walker’s agonized words still ringing in his ears. Trying to rationalize this meaningless destruction with the destruction he brought upon so many worlds as a herald to Galactus, he cannot. 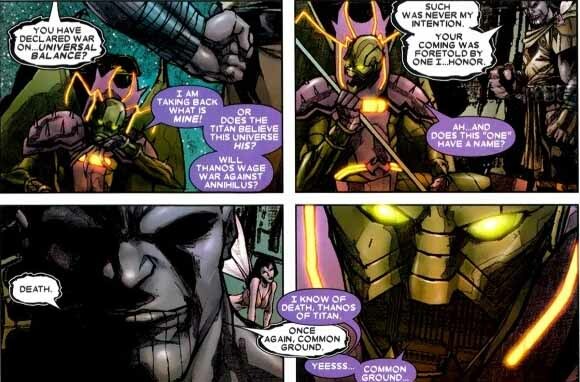 Galactus is part of the natural order of things, while Annihilus is a cancer. 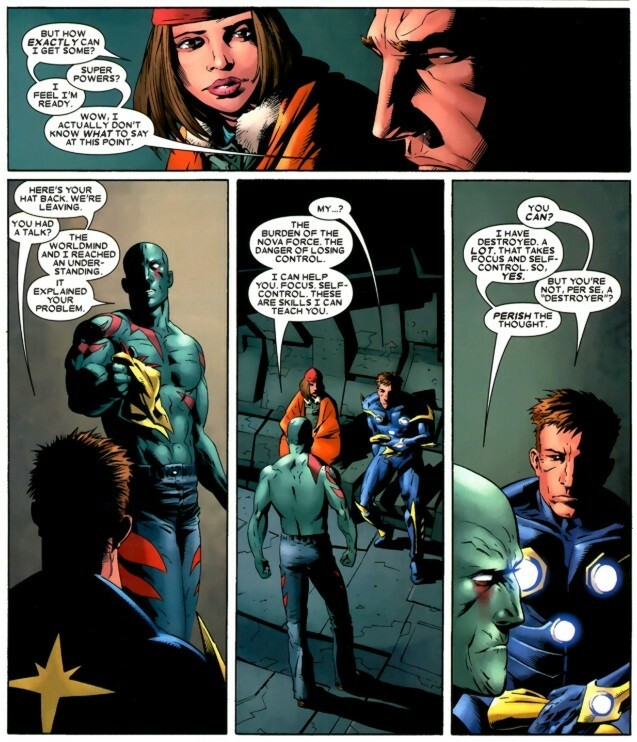 While Drax talks to Worldmind, Cammi and Richard trade humorous quips at each other. (I love Cammi, as a character, not as an underage girl. Stop it!) 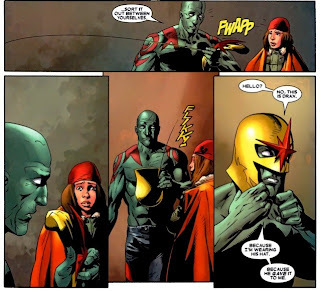 Having come to an understanding, Drax returns Nova’s helmet and tells Richard he is going to help teach him to control the power, how to not lose control. They make it through the stargate and to safety. 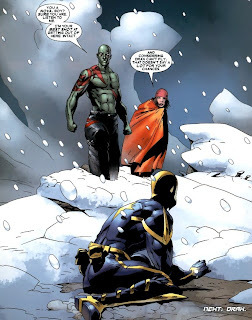 Nova is not happy about Drax’s instruction, but Drax reminds him that they made it safely, and that he didn’t lose control, which raises Richard’s confidence. Their ship immediately begins to fail, and they start to fall into toward the nearby planet, and they are saved by the timely intervention of Quasar. My brain thoughts: The back-and-forth between Drax, Nova, and Cammi is simply excellent to read. Drax’s self-control as taught by threat of death was a great moment. The arrival of Quasar would spell doom for most other books, but everything will be okay, dear reader. I promise you this. 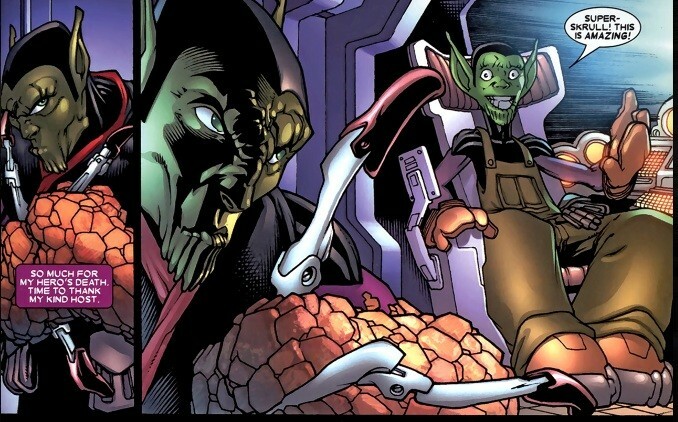 Super Skrull and R’kin journey to discover a weakness to the planet-destroying super weapon, the Harvester of Sorrows. They invade the UX-73 prison planet to find Hawal, the inventor of the weapon. 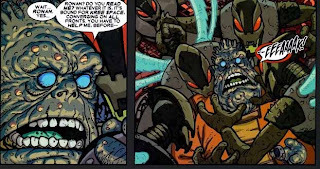 Hawal at his mercy, the Super Skrull persuades him to create a virus that will destroy the Harvester. 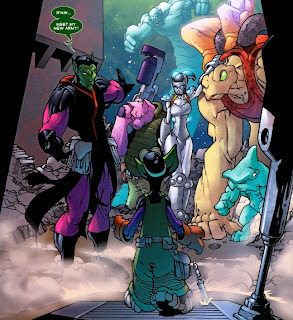 Super Skrull is joined by several newly freed prisoners, to include Praxagora, a female from a robotic race, and Preak, a creature that multiplies upon impact. 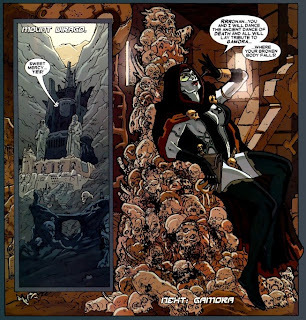 My brain thoughts: Praxagora plays a role in the coming Annihilation, and is the most interesting of the characters introduced here. Ronan makes short work of his attackers, cancelling Nebula’s gravity temporarily and sending her hurling into the stratosphere. He then gets updated on the Graces and Gamora by the Kree settlers he has befriended there. 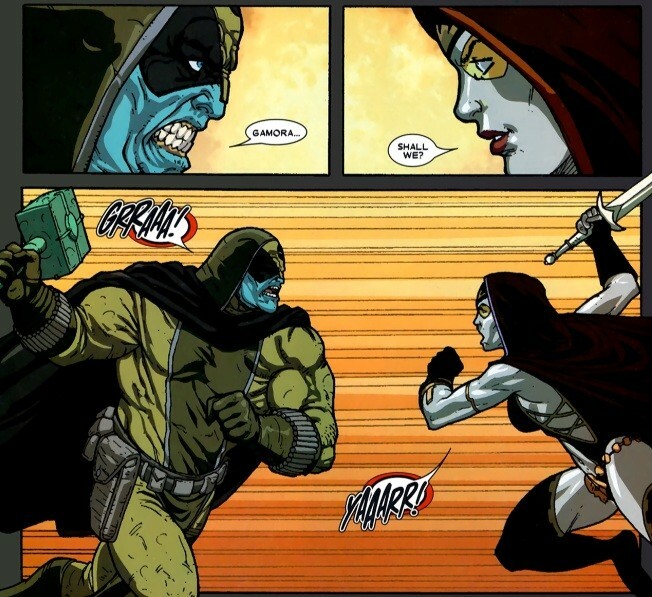 Gamora plans to use one of her Graces, Tana Nile, as bait to lure Ronan to her, so that she may fight and kill him, heralding the rebirth of her name into the cosmos. Ronan’s ally Tullk is killed by Annihilation Wave bugs headed toward Kree space. As Ronan and Gamora lock weapons in combat, a being named Glorian arrives on Godthab Omega and announces himself as the new Shaper of Worlds. My brain thoughts: I know Simon Furman as the last writer on the original Marvel Transformers series. He moved over from the UK books and really highlighted the space-spanning aspect of the Transformers. Good to see he got a shot to translate those skills over to the Marvel Universe. Terrax the Tamer is under attack by Annihilus’ seekers. 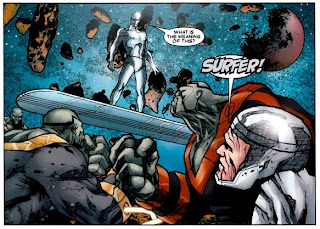 The Silver Surfer, still in ravaged Skrull territory, comes across a survivor, a former indentured servant to the Skrulls named Tarq Maru. 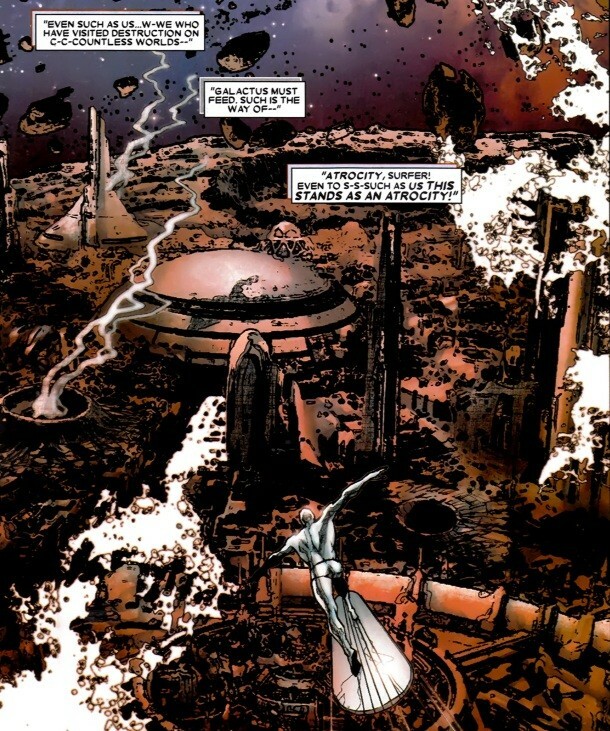 He requests the Surfer to show him the damage done to his former home planet, and is devastated by what he sees. 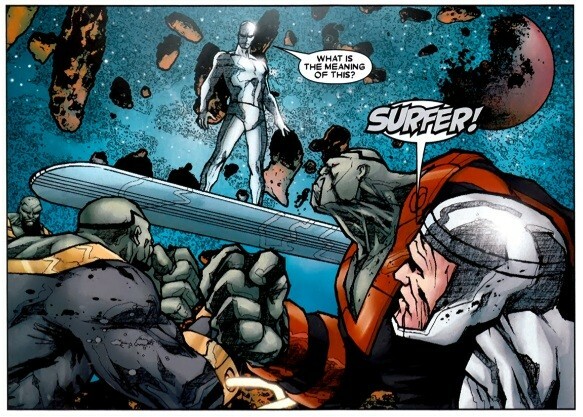 Despite his objections to leave him to die, the Surfer takes Tarq along with him. The Seekers are on the Surfer’s trail, not too far behind him. Meanwhile, Thanos and Annihilus have their meeting. Annihilus respects Thanos for his past achievements, and only because of that, did he agree to speak with him. 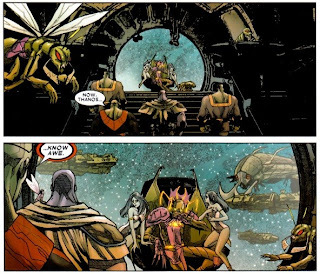 Thanos would know why Annihilus is waging this war. Annihilus clears the room. The universe is expanding, and it expands into the Negative Zone. 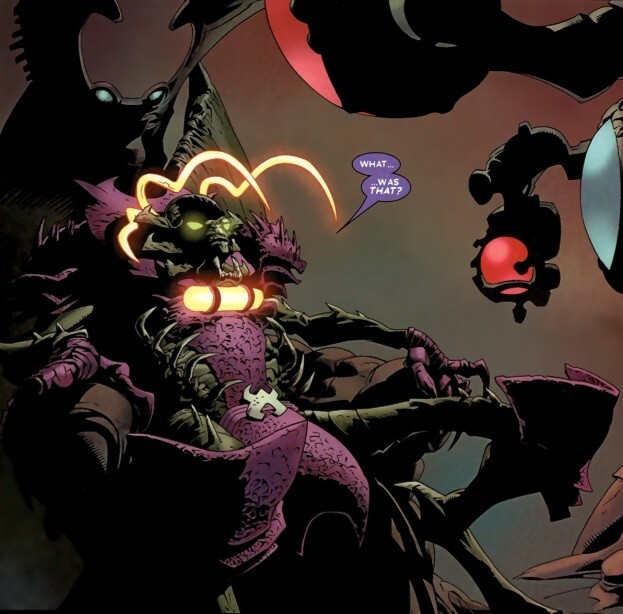 Annihilus intends to take back what he considers his. The Surfer is surrounded by Seekers. He has figured out that the true power resides in their hunting “dogs”, and not the Seekers themselves. They battle. 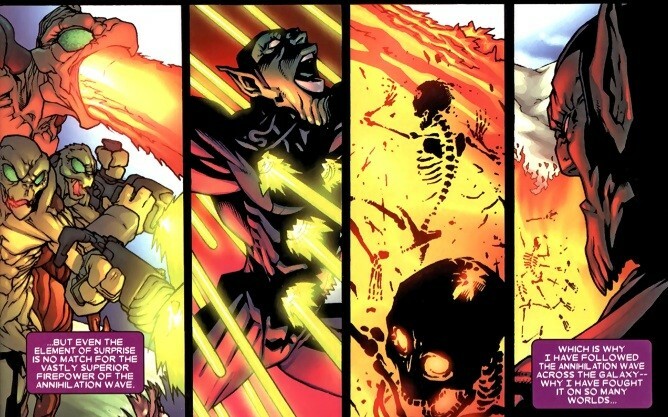 The Surfer tries to bluff them into retreating, but as they prepare to renew their attack, they are incinerated from above. 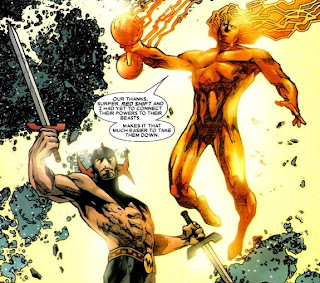 The Surfer looks up to find Red Shift and Firelord. They discuss their current situation, and decide to band together to find the rest of the remaining heralds. Meanwhile, the Seekers have successfully captured Terrax. My brain thoughts: Thanos allying himself with Annihilus is bad news for the good guys. Or is it? My final brain thoughts: Gamora, Cammi, Drax, Praxagora, giant meddlesome bugs, snappy dialogue, heralds under attack, and much more to come. Not much more to say at this point, other than to come back next time, where we finish off these undercards, and get ready for the main event! I'm currently reading the trades of Annihilation. I liked the Silver Surfer 4 parter a lot until I started noticing that Renato Arlem was re-using figures, ships, backgrounds etc in his art. The scene where Thanos Meets Annihilus has backgrounds screengrabbed from Return Of The Jedi. It's the Emperor's throne room on the Death Star. I found this very distracting and above all, quite lazy. I work in comics. I know that cut and paste happens. But it's usually for effect, duplicating a panel,or pastinga panel up on a view screen etc. I can only assume that either the editor didn't catch it, or this is now deemed acceptable.